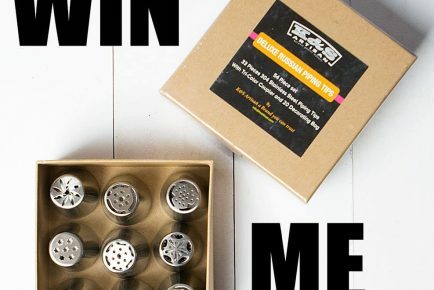 I work as a paid blogger and I received a sample of Wholesome Frosting and sugar for free. All opinions, recipes, and images are mine. 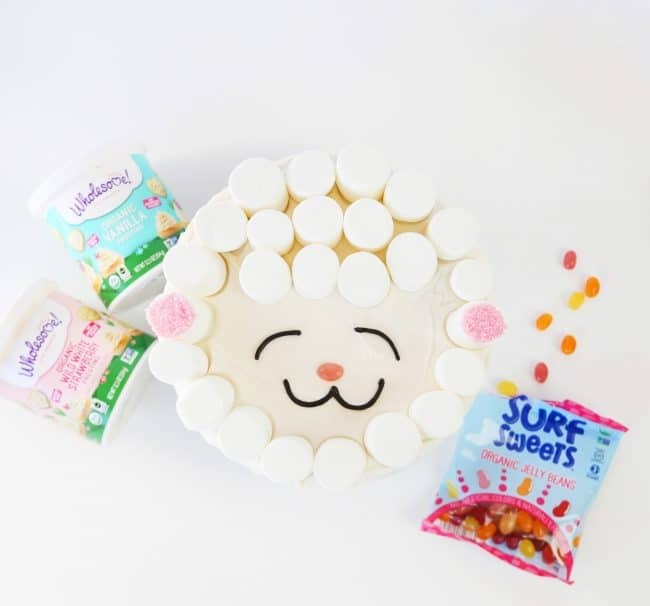 This adorable Marshmallow Lamb Cake is the perfect way to usher in spring! Looking for more Cake Recipes? I’ve got you covered! I wanted to make a cake that needed no special tools or pans AND was easy enough for the kids to help with. This was the perfect compromise! 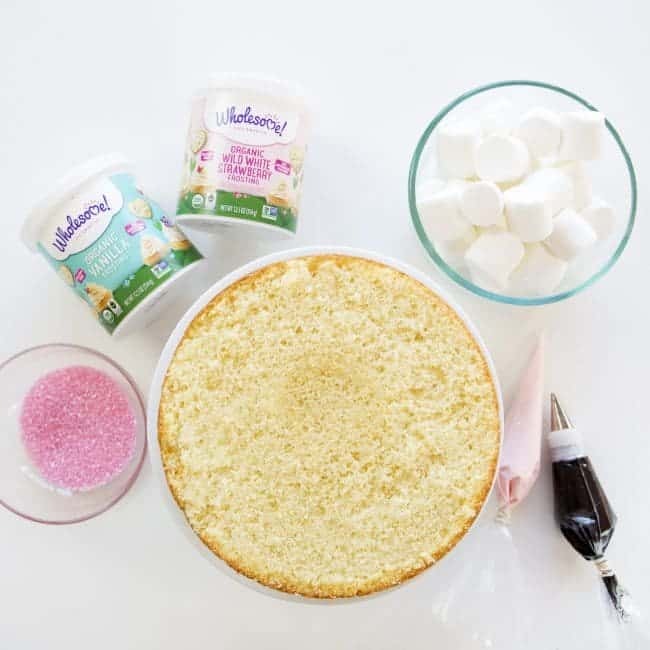 And the bonus about this cake is the ingredients… I used Wholesome frostings and candies to create a cake that not only looks cute but tastes amazing! I love Wholesome for many reasons but the main is that it’s organic and 100% real ingredients. 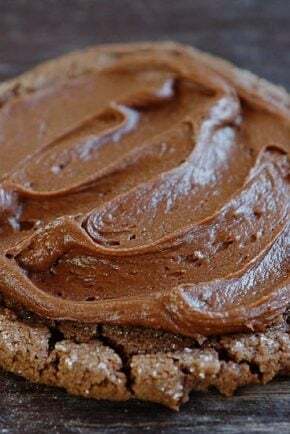 I hope you are as excited as I am about finding a frosting that I can buy, that spreads beautifully, that has real ingredients, and that TASTES GOOD!! It’s a dream come true. Begin by preparing yellow cake in 8-inch round cake pans. Allow cakes to cool then level. Place one layer on top of cake stand. Use the Wholesome Organic Wild White Strawberry frosting to cover the cake. 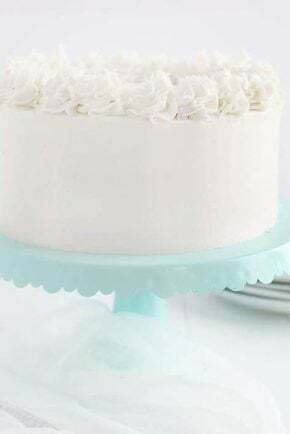 Place the other layer on top then cover the cake with Wholesome Organic Vanilla frosting. Start placing marshmallows around the cake. 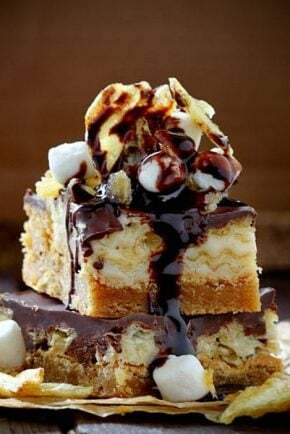 It is best to work with a freshly frosted cake so the marshmallows can “stick” to the cake better. 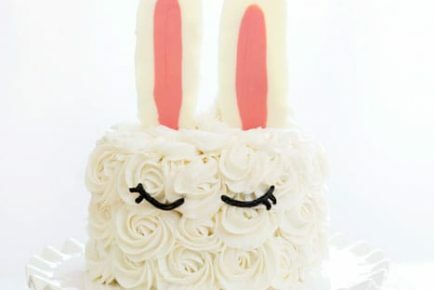 (the frosting acts as glue) Leave a small section on the lower portion of the cake without marshmallows, this is where the lamb’s face will be. Take turbinado sugar and place it in a small plastic baggy. Add in a teaspoon of natural food color powder and then seal the baggy. Toss the sugar and the powder around until it is fully coated and pink. Use a drop of remaining Wholesome frosting on one marshmallow (I had tinted my frosting pink, you do not need to do this.) and dip it into the pink sanding sugar. Set it on the outer edge of the cake near the center, where an ear would be. Repeat this for the other ear. Using the black frosting, pipe out eyes and then a mouth. Press one pink jelly bean where the nose should be. Fill in with more marshmallows as needed. This cake is just so FUN to make!! Here is the recipe for my favorite yellow cake. 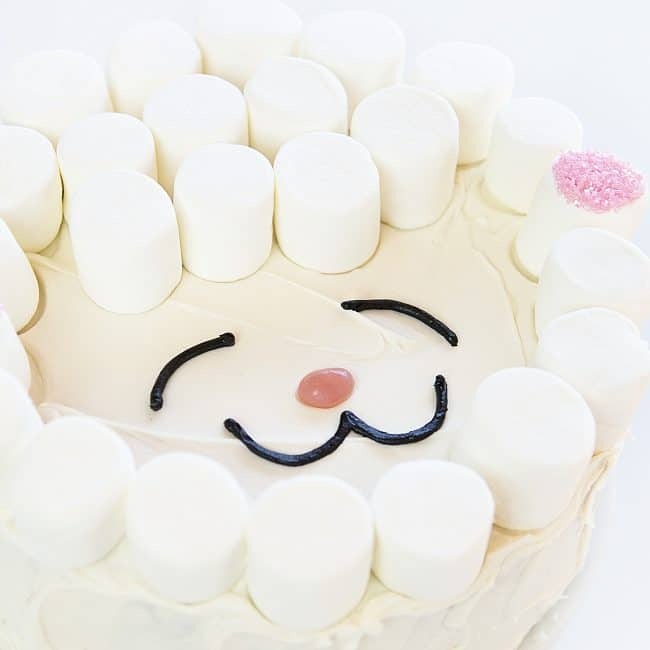 This adorable Marshmallow Lamb Cake is the perfect way to usher in spring! 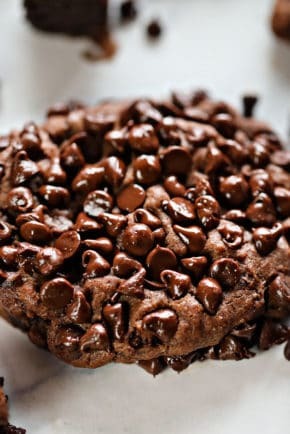 Add flour, baking powder, salt, and cane sugar to a bowl and whisk. Set aside. Place softened butter into a stand mixer (or hand held mixer) and whip for about a minute. Slowly pour dry ingredients into stand mixer and combine with butter for 30 seconds. Add milk, oil, vanilla and eggs and mix on medium-high for one minute. Bake at 350°F for 18-22 minutes. The cake is done when it springs back when touched or an inserted toothpick is removed mostly clean. With this be a good cake to do if I’ve doubled it in 10 inch pans for a large birthday cake? Thanks for your help!